One of the best hikes in the Balkans (and in Europe), is this Via Dinarica hike, which takes you through Northern Albania, across the three-border point from Albania, Kosovo and Montenegro.We hike in 8 days to Kosovo and along the way, we will walk through Theth and Valbona National Parks and to beautiful shepherd villages. We spend time in Prishtina (Kosovo), this is the newest capital of the continent, where we can find restaurants, hotels and nightlife spots. We will follow a trail, which is quickly making its way into many must-see lists. At Tirana airport you will meet the guide and we take a transfer to Shkodra (northern Albania’s largest and oldest town). 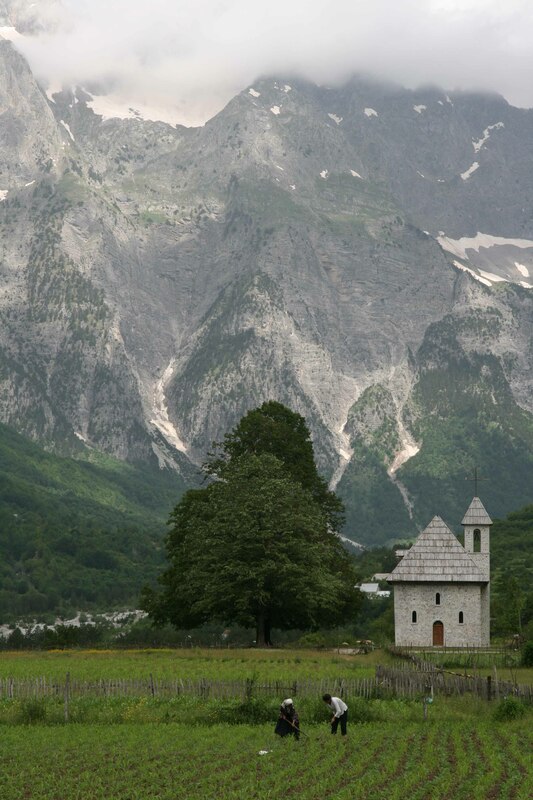 When arriving in Shkodra, we switch to a local minivan and continue towards Theth, we pass the beautiful Valley of Boga, this is the gateway to the Albanian Alps. We will stop at the Diagonal Pass (Qafa Thore), where we will enjoy the spectacular mountains. From here, we will continue our downhill drive to a great guesthouse in the village where we will stay overnight and can enjoy a tasty homemade meal. 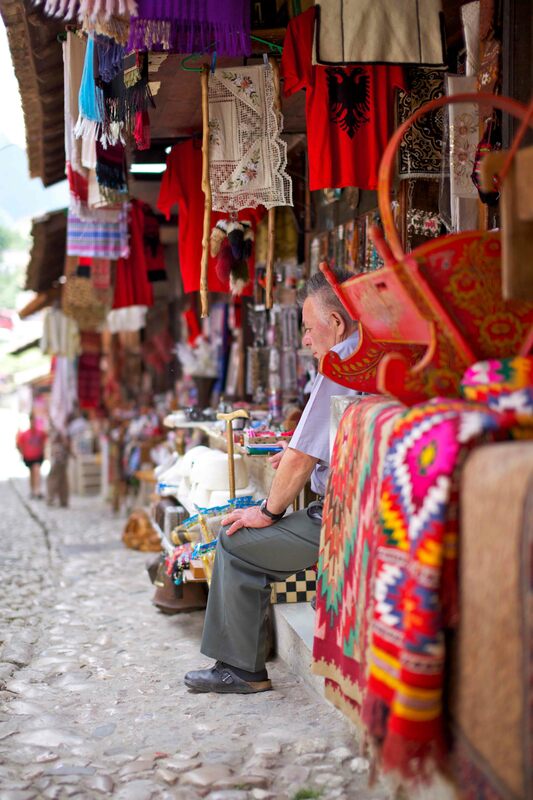 Our second day, we will walk through Thethi, this is the best-preserved alpine village of Albania. We will see typical stone houses, roofed with wooden tiles and the location surrounded by mountains will take your breath away. 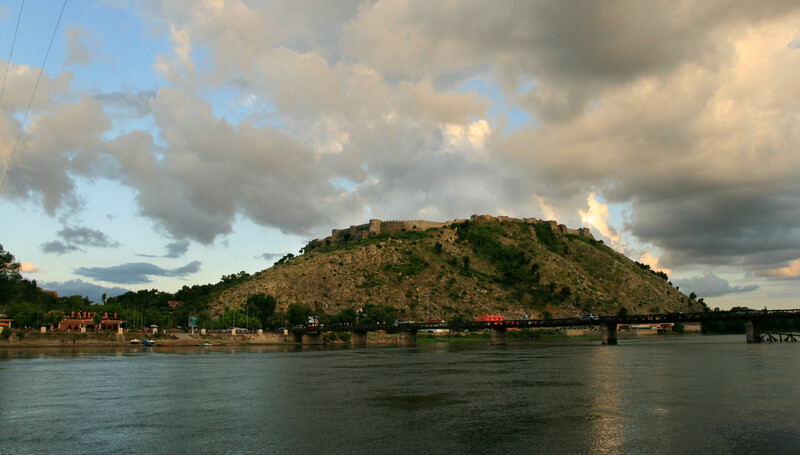 From the house, we will start walking and visit the attractions in and around the village, such as the Catholic Church, this is a stone-build church and we will visit the blood feud tower ‘Kulla e Ngujimit’. We cannot forget the waterfall, the Grunasi Canyon and the 2007 revelation (cyclopean stone walled terraces dating from the late bronze era, build by mysterious ancient inhabitants) in our list to visit. 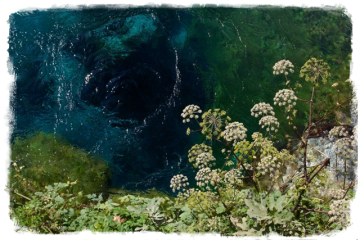 We have the option to extend our walk till the Nderlysa turquoise pools, the Kaprea creek creates these, we discuss during our tour if we will visit the pools. At the end of the day, we return back for dinner and overnight at the guesthouse in Theth. 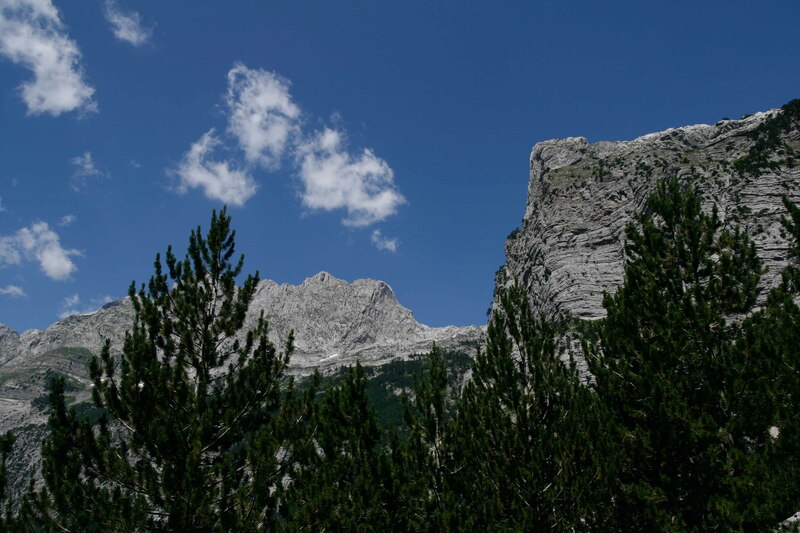 This day, we will follow a trail, which is perhaps the best-known highlight of the Albanian Alps and this remains the only direct connection between the valleys of Valbona and Thethi. We load our luggage on horses and start walking uphill towards the Valbona Pass (1759m). The path winds through beech woods and further to grassy meadows for than continuing on firm ground and small sections of scree on the higher parts. If there is a clear day, from the saddle, we can enjoy the nice views of the highest peaks of the Alps (Jezerca, Radohima and many others), above 2000m. of elevation. 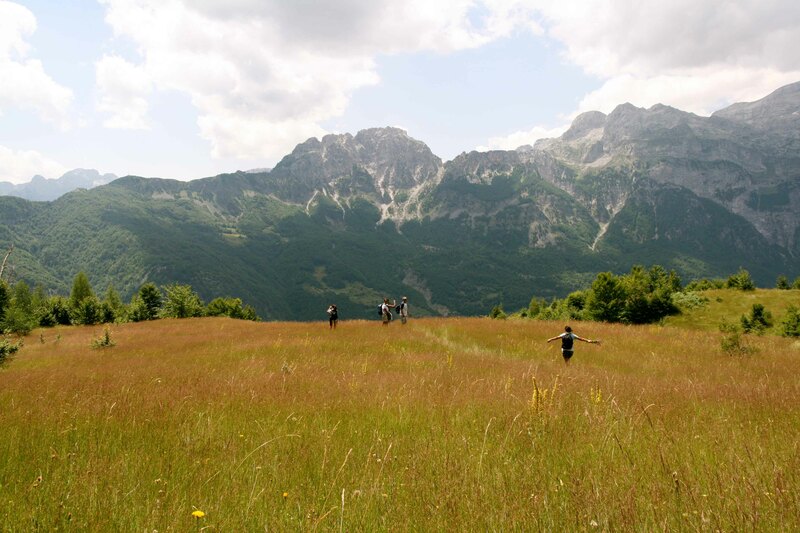 The trail continues downhill in stunning and rough landscapes towards the meadows and the Valbona springs. 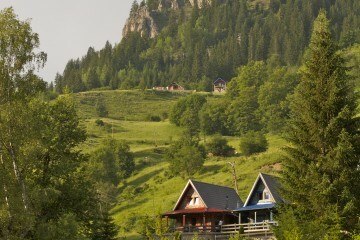 At the end of the valley, we find the hamlet of Rrogam, a forest trail will lead us and makes the end of the walk. After we finished our breakfast, we start our walk on an epic trail known as ‘Lugu i Persllopit’, it remains a hidden gem in the already remote net of trails of the area. We start zigzagging in the trail right outside the gate of the house and ascends through pine forest tor each an open rocky terrace, this provides great vistas on the entire valley and on the northern dome of Jezerca. Unfortunately, we have to leave the panoramic ‘mighty throne’ of karts, but the follow up part shows landscapes of great magnitude. Pristine forest trails and a succession of cols will bring us to the pass, located at 2030m of elevation where we will stop for a picnic lunch, surrounded by imposing jagged peaks of grey limestone. After the lunch, we continue with the trail that enters in Montenegro and morphs into a mountain walk of moderate difficulty, on the side of the rocky dome of Zla Kolata (Kollata e Keqe) (this is Montenegro’s highest summit). 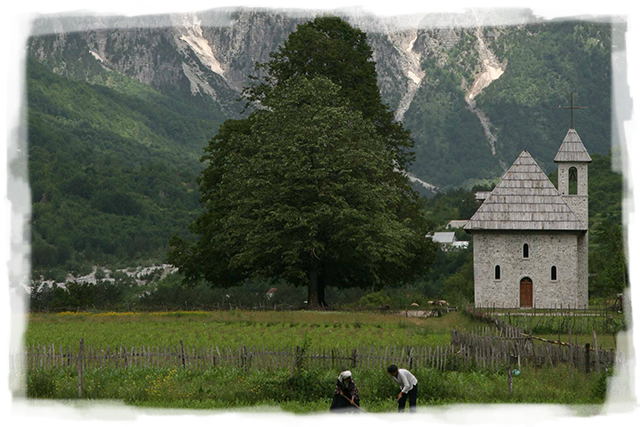 We re-enter Albania at the Pass of Bori and descent through woods and meadow clearings till we reach the remote village of Çerem. Here, we can rest after our long walking day. We continue our walk on undulated terrain in spectacular alpine scenery, while we leave Çerem and leave the mountains of Kollata behind. Again, we load our luggage on horses and we walk on a forest path and grassy clearings, after this, we continu on a gravel roud, until we reach the border of Montenegro. 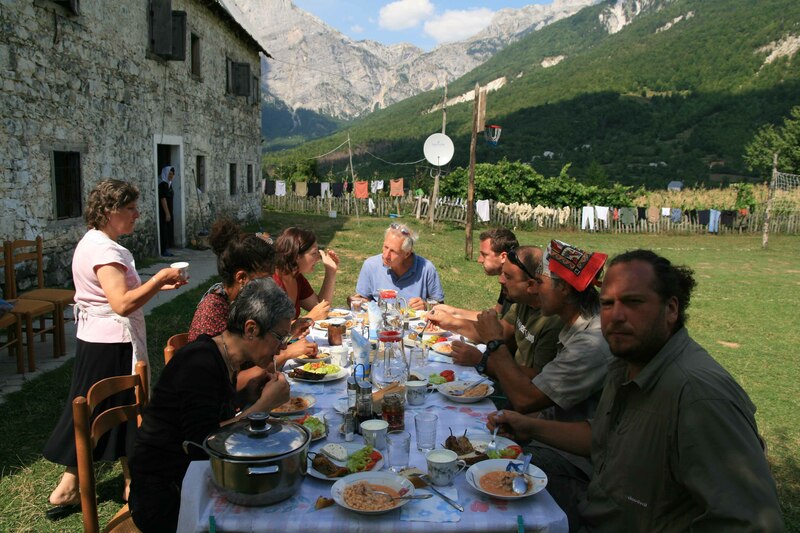 When we enter Montenegro, we reach the ruinds of the old military border post and we take a break at the hamlet of Balgin, which is used by shepherds during summer. We can fill our bottles with fresh water from several springs and creeks on our way. At the end of the walk, we enter the valley of Gash and reach Doberdol, which is located in the middle of alpine pastures. In the afternoon there is time to relax or if you want to have an optional walk to some of the alpine lakes above. In the morning, we leave Doberdol and start climbing slowly to the ridge in front of us, which marks the border between Albania, Kosovo and Montenegro. You can see at the ridge that the vies are stunning and we can admire the the Gjeravica (the highest peak of Kosovo), Kollata (the highest peak of Montenegro) and Jezerca massif. An additional climb will lead to the peak of “The Three Borders” and then descend slowly through beautiful alpine meadows and small glacier lakes, until reaching a fir forest, which will lead to the “Zalli i Rupes” field. This is the end of our walk for today and we will take a transfer from here towards the historic town of Prizren. 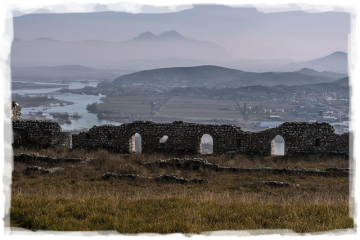 We will stop in the lower valley to visit the Monastery of St. Nicolas in Decan, which is a prime highlight of Kosovo’s monuments. In the evening we spent our time in the attractive and relaxed neighborhood of Prizren, this is in the ottoman style. After we finished breakfast, we start a relaxed drive towards the Pass of Preval, this is in the middle of the Sharr Mountains (the other important mountainous chain of Kosovo, besides the Accursed Mountains). 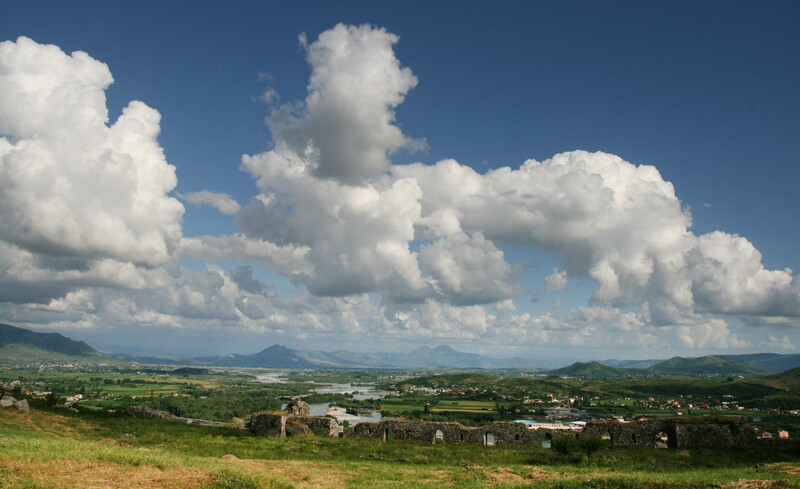 When we arrive at the pass, we will have a leisurely walk in the surroundings and then drive to the Serb village of Strpce, here in a traditional restaurant we will have lunch. After lunch, we have a transfer to Prishtina. Here, we can enjoy cafés, restaurants and clubs, there is a great offer of evening/ night out to end the tour. 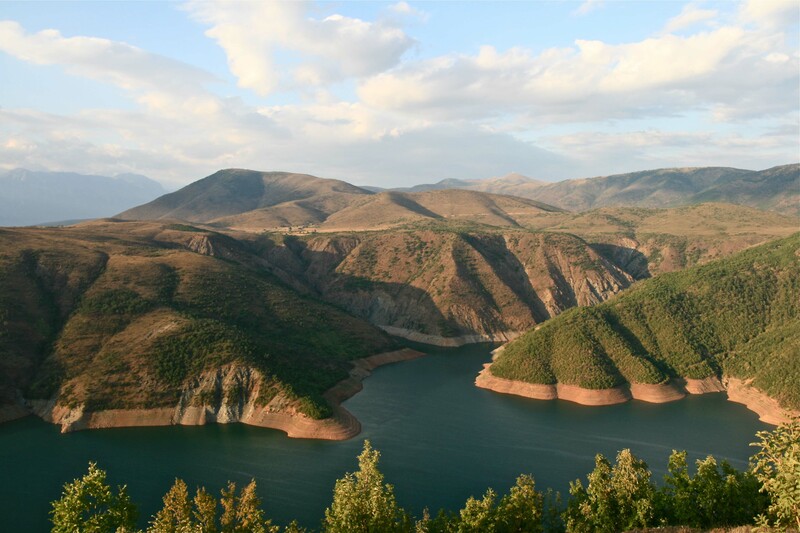 We have some free time in Pristina and a transfer to the airport for departure.